When you are in need of a new heating system, call the experts at Four Seasons Air Specialists. We offer some of the best heating products on the market and our installation experts have the knowledge and experience you can trust. In addition, we also offer a planned maintenance program to ensure the maximum life of your heating and air conditioning system, as well as to keep it operating at peak performance throughout the year. Call us for details on how you can save money while keeping your HVAC system running properly. 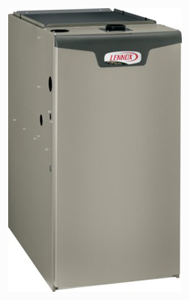 Four Seasons Air Specialists is your leading provider of furnaces, heat pumps, and other HVAC products from Lennox in White Bear Lake and surrounding communities. As a Dave Lennox Premier Dealer, we provide the full line of Lennox heating equipment, including the top-of-the line Signature Series and their 98% energy efficient SLP98V furnace, one of the quietest furnaces in the industry. Our heat pumps include some of the quietest on the market and possess industry-leading SEER ratings. If you are seeking an energy efficient product that will provide a comfortable and relaxing environment both inside and outside your home, check out our lineup of heat pumps. Four Seasons Air Specialists is your trusted Lennox Premier Dealer in White Bear Lake. Please call us today for a Free estimate, or browse our list of heating products below to find the best product for your needs.